here's a tutorial using warm golden shades perfect for fall. this will be my last beauty video of the month because it is OCTOBER! in case you misinterpreted my all caps OCTOBER, i am insanely excited for the ridiculousness that ensues during this month where i get to do crazy makeup, look horrendous and enjoy every second of it. if anyone knows who i can credit this to, please leave me a comment! 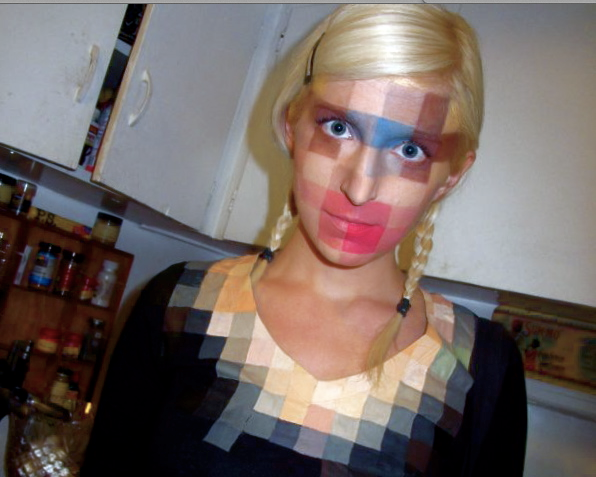 and for all things Halloween - plenty of creative halloween costume ideas for singles and couples - makeup tutorials, etc. click here.